Convention giveaways to Boardroom gifts... Sanford has the quality, delivery, service and costs you're looking for! Call us for quotes as we do not sell at list price. PAPER MATE | Earth friendly, smooth writing respected brand name, priced right. SHARPIE | Stainless | Make a lasting impression with Sharpie's newest fine point permanent marker. Refillable black in cartridge encased in a stylish steel barrel ensures longer life and usage. QUILL | Unique slant top gives you a large logo area! Training and sales gifts. 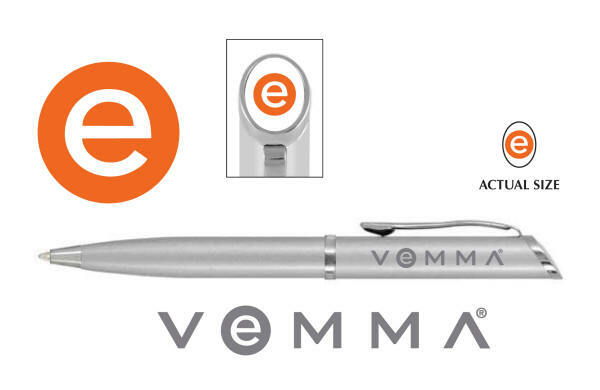 Available in ball point, roller ball, pencil or fountain pen, refills available. UNI-BALL | Features Super ink, permanent once dry! Prevents check fraud! Great writing, great feel and exceptional value. PARKER | Parker is famous throughout the world for superbly crafted writing instruments. Pens that write extraordinarily, balance perfectly in the hand, and last for a lifetime. Pens that are beautifully designed to deliver a total writing experience. A perfect balance of form and function. WATERMAN | In Waterman, you will discover a truly exceptional writing instrument, steeped in European flair that makes a bold statement in any business environment. Waterman products stand out in stunning fashion from a crowded marketplace with dramatic shapes and finishes that continue to raise the standard for executive gifts.